In a dozen years on the U.S. appeals court that handles most challenges to rules issued by federal bureaucrats, the Supreme Court nominee’s record reveals views closely aligned with conservatives who seek to rein in agencies on issues from climate change to net neutrality and financial oversight. “He has a reputation for keeping regulators under control and not allowing regulators to travel too far beyond the intent of Congress, if at all, and kind of putting limits on the administrative state,” said Senator Charles Grassley, an Iowa Republican who leads the Senate Judiciary Committee. “Agency overreach will be difficult to do and get by him,” said Brian Potts, who specializes in energy and environmental law for Perkins Coie. If confirmed, Kavanaugh could be a critical vote on the Supreme Court as Trump seeks to repeal or ease an array of regulations promulgated under his predecessors. In cases in which former President Barack Obama’s agencies strained the bounds of legislative authority, a narrower view by the Trump administration could be bolstered by the court. As a judge on the U.S. Court of Appeals for the District of Columbia Circuit, Kavanaugh has signaled his willingness to limit the so-called “Chevron doctrine.” The Obama administration relied heavily on that 34-year-old principle, which gives federal agencies latitude to regulate when Congress has been ambiguous, using it to justify mandates on energy, the environment and the workplace. 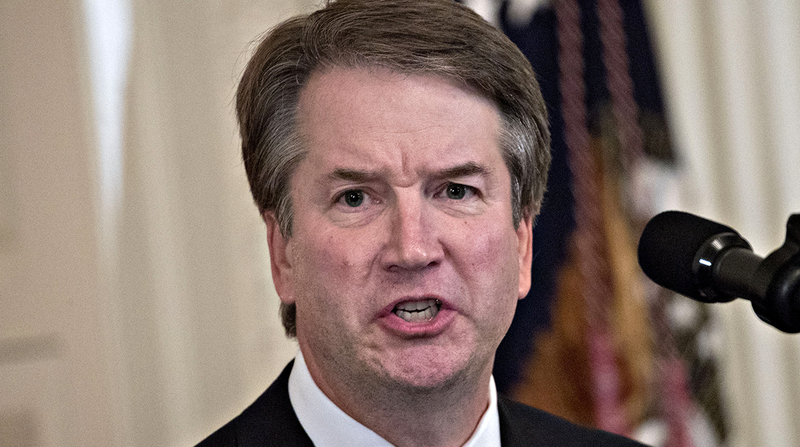 Kavanaugh also could pose a threat to another legal doctrine known as “Auer deference,” which holds that agencies are in the best position to interpret their own rules, said Christopher Walker, a law professor at Ohio State University. Kavanaugh hasn’t gone quite as far as Trump’s first Supreme Court nominee, Justice Neil Gorsuch, in contemplating throwing out the entire Chevron doctrine. But last year, he said courts shouldn’t defer to agencies on “major” rules unless Congress has clearly granted that level of authority. In that 2017 case involving the Federal Communications Commission’s net neutrality rule, which imposed limits on internet service providers, Kavanaugh noted that Congress debated the issue for years without passing a law — and said the FCC didn’t have power to step into the gap. “The net neutrality rule is unlawful because Congress has not clearly authorized the FCC to issue this major rule,” Kavanaugh wrote in a dissent at the time. The net neutrality rule survived court scrutiny, and it was gutted by a Republican- majority FCC last year. Kavanaugh is likely to give agencies a long leash when it comes to removing regulations, and he won’t welcome major new rules that don’t have congressional imprimatur, legal scholars said. “His view of agencies going awry usually has to do with agencies doing something, rather than agencies undoing something,” Heinzerling, a former EPA official under Obama, said. Kavanaugh’s jurisprudence is marked by “hostility to federal regulatory agencies trying to protect the environment,” said Bill Snape, a senior counsel with the Center for Biological Diversity and a practitioner in residence at American University’s law school. Last year, he ruled the Environmental Protection Agency had overstepped its bounds by setting limits on hydroflourocarbons, a potent greenhouse gas. Although Congress hasn’t spelled out a comprehensive climate policy, that “does not license an agency to take matters into its own hands,’’ Kavanaugh wrote. In a 2012 case, Kavanaugh argued in a dissent that the EPA had overstepped its authority by determining greenhouse gases are pollutants that can be regulated under the Clean Air Act. Kavanaugh also struck down an EPA rule governing cross- border pollution from power plants and stayed the measure’s effect, though the ruling was later overturned by the Supreme Court, with Chief Justice John Roberts and Kennedy in the majority. “The takeaway message, for me, from all of these cases is that he will construe EPA authority very narrowly and virtually always, but not every single time, in favor of regulated parties and against environmental interests,’’ Ann Carlson, a University of California at Los Angeles law professor, said in a blog post. If Kavanaugh’s views became the law of the land, that could pose a threat to independent financial regulators such as the Consumer Financial Protection Bureau or the Federal Housing Finance Agency. In a 2016 appellate court case, Kavanaugh said the CFPB was “unconstitutionally structured,” because the agency’s director cannot be fired by the president without cause. Kavanaugh’s skepticism of agency power and major federal regulations could immediately come into play with the very first case on the Supreme Court docket in October. At issue is a dispute over the endangered dusky gopher frog and the Fish and Wildlife Service’s effort to protect its habitat — even in an area where the species does not exist. Critics say the agency overstepped its authority by designating some 1,544 acres of private land in Louisiana as critical habitat for the frog even though the species doesn’t exist there and the territory doesn’t have all the characteristics needed for its survival. Although Kavanaugh’s approach could mean deeper skepticism of federal regulations, the immediate result could be uncertainty as the legal landscape evolves. With assistance from Ari Natter, Elizabeth Dexheimer, Alan Kovski and John Lippert.